Since 1987, the Spanish Federation of the Friends of the Camino de Santiago, and its associations, have held the International Congress of Jacobean Associations, a venue for a triannual meeting where pilgrim veterans and researcher place their experiences and knowledge related to the Jacobean tradition in common. 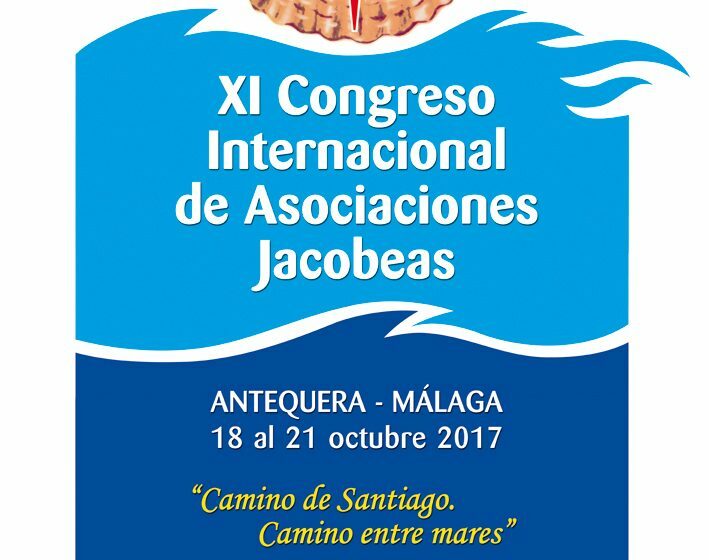 After the tenth congress was held in Burgos (2014), the venue passed to the city of Antequera, in which the XI International Congress of Jacobean Associations will be held; the Jacobean Association of Malaga will be the organising institution in accordance with what was approved at the General Assembly held in Jaen. The Jacobean Association of Malaga has belonged to the Federation for more than twenty years and is a founding member of the Andalusian Federation of Associations of Friends of the Camino de Santiago, which it is also an active member of. The motto of the XI International Congress of Jacobean Associations is CAMINO DE SANTIAGO, CAMINO ENTRE MARES (CAMINO SANTIAGO, CAMINO BETWEEN SEAS) and is intended to highlight THE Jacobean Route, declared in 1987 to be “the First European Cultural Itinerary” and throughout its history it has welcomed persons from very diverse nations, religions, cultures, social statuses, etc. At the present time, where it appears that conflicts of all kinds are those which appear in the headlines, we wish to stress the values which characterise the Camino de Santiago and which deserve to be fully present in our daily lives. In our motto CAMINO DE SANTIAGO, CAMINO ENTRE MARES, we wish to underline that the routes of the Camino de Santiago must contribute to extending and making these values present as they are so necessary for our society such as the unity of all peoples beyond any kind of physical, cultural or religious frontiers. The Camino Mozárabe is also a way which arose in order to unite the shores of the Mediterranean Sea and the Atlantic Ocean and thus join the hearts and souls of both shores. The Jacobean Association of Malaga is thrilled to work, doing all that is possible so that participants and companions take back a pleasant memory of this charming land. The city of Antequera was chosen for many reasons; its monuments, its history, its rich heritage, its environment, its good communications, the fact that it is the geographical centre of Andalusia and a pilgrimage city, the cooperation of the institutions and its generous hospitality.